I have a voracious appetite for new music, nearly as aggressive as my quest for new beers. This has only gotten worse with Spotify and the ability to stream 17+ million some songs at the click of a mouse. One day I tweeted a few of the brewers looking for musical suggestions. Steve Shaw at Cellar Dweller was quick to respond with Larry and his Flask, which I now listen to daily. That got me thinking what other brewers, and bloggers, like for music to brew by or keg/clean/bottle to? With Saturday being Learn to Homebrew Day what better time to build a playlist of tracks to listen to while teaching a friend to brew? Leave it to Blank Slate to have an eclectic love of music. While breaking the bounds of beer styles and defying having a single flagship beer owner and head brewer Scott LaFollete likes to listen to everything from Punk to Hip Hop. Never having been a big too exposed to Punk I checked out his three specific suggestions (Minor Threat, The Queers, and New Bomb Turks) and dug this track the most. Mitch Dougherty is the man behind Ei8ht Balls brews and is into everything from Patsy Cline, Muddy Water, and Tool to Hank 3 and Pantera. So I had to diversify this list and get some metal in here. I reached out to Rhinegeist’s Head Brewer Jim Matt for what him and brewer Luke Cole like to listen to. While Jim is all over the map musically and Luke was a Led Zeppelin fan Jim did call out 1 song in particular that I had to include in this list. On creative days they like 311, others range from Seattle Grunge to Rolling Stones, with a love of classical (Beethoven and Chopin) or Jethro Tull. Just like our brewing portfolio, all styles get tossed around the brewery! This idea started with just breweries but since Queen City Fresh is so big into music I decided to include him and expand it to my fellow Cincy Beer bloggers as well. Chris Stevens may not brew beer, but he’s hugely passionate about music and beer and most especially The Tillers so I couldn’t write this without giving him a shout out. Matt Rowe from MadTree also mentioned The Tillers as a favorite so here’s a track from their new album. I listen to all kinds of music but right now I cannot get enough of Shakey Graves. Leave a comment on your favorite song or artist to listen to while brewing or drinking your favorite beer! 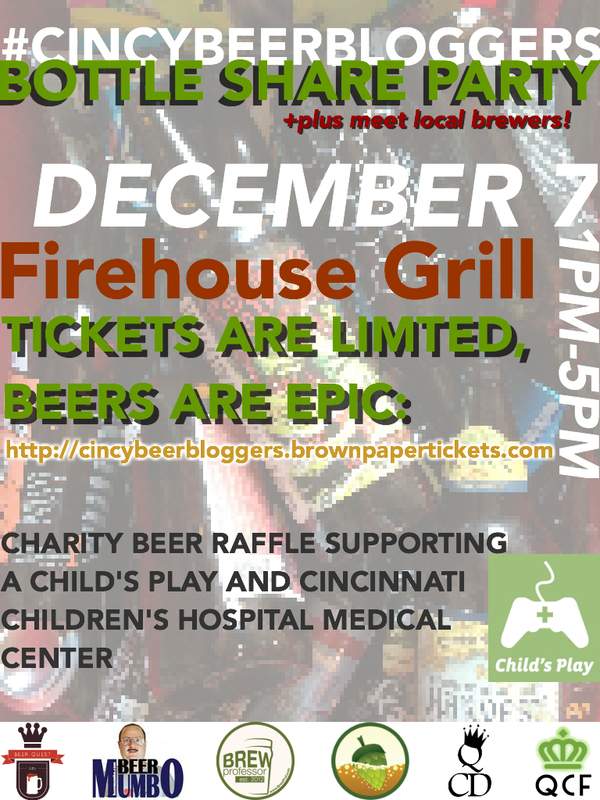 Come on out to 50 West (7668 Wooster Pike, Cincinnati, OH 45227) this Thursday night to support a local brewery AND your local bloggers!! The guys at 50 West were cool enough to invite some of the local beer bloggers out to take part in their Cannonball event.